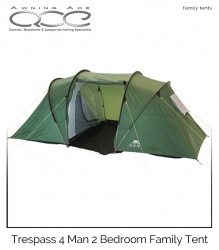 The Trespass Go Further Premium 4 Man Tent has 2 rooms that are perfect for friends or family to share. A porch area provides shelter at the opening of the tent and the generous living area provides a communal space for you to spend time together, whatever the weather. 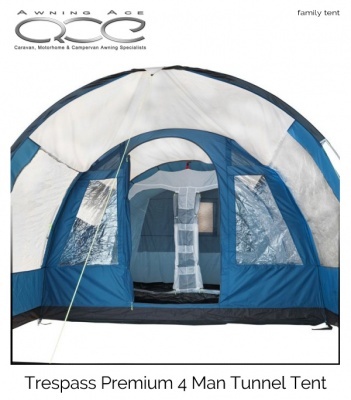 Riser groundsheet in living area. 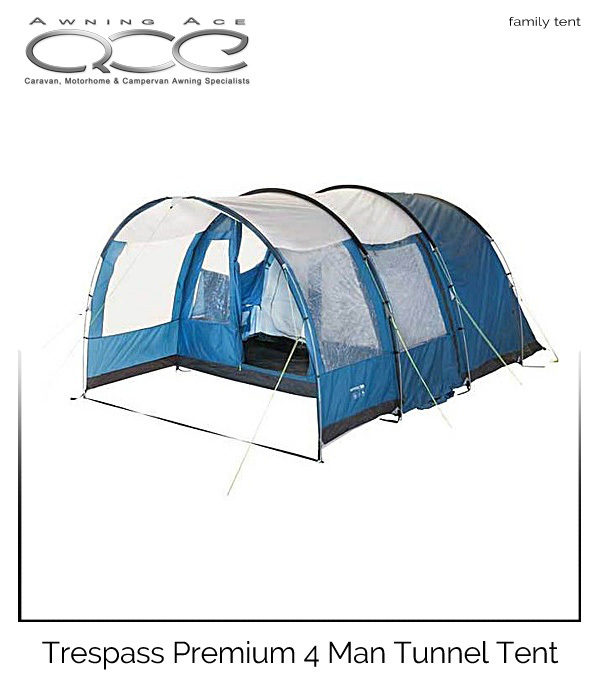 Hydrostatic head 6000mm - the higher the figure, the more waterproof the tent. 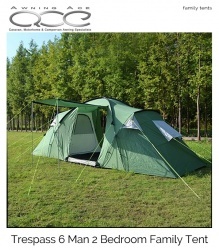 Living space size H210, W140, L310cm. Pitched size H210, W310, L500cm. Packed size L64, W31, D31cm.